What did you do on your vacation last summer? That was it, nothing special, nothing fun, nothing to talk about, right? What if I say you can have the most unforgettable experience like never before and be part of the best, most exciting party this coming summer? Do you feel curious to know where this party will be? You are in the right place at the right time! 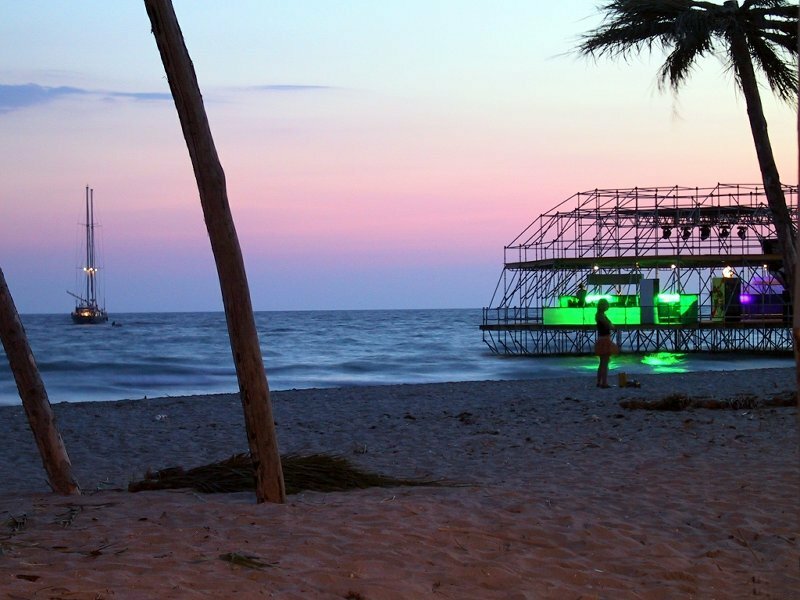 Consider yourself invited to a breath-taking open-air festival called "The Republic of KaZantip". 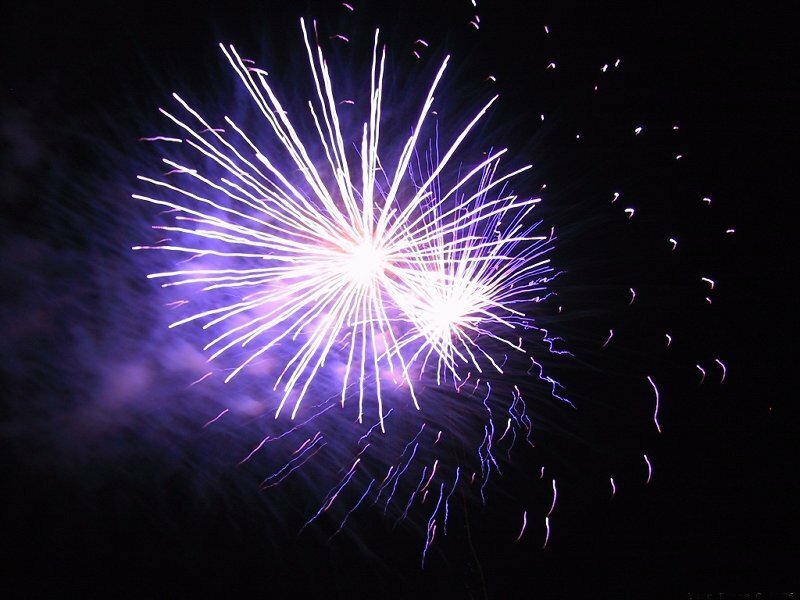 Get prepared to be dazzled!!! "KaZantip" what the heck is that? 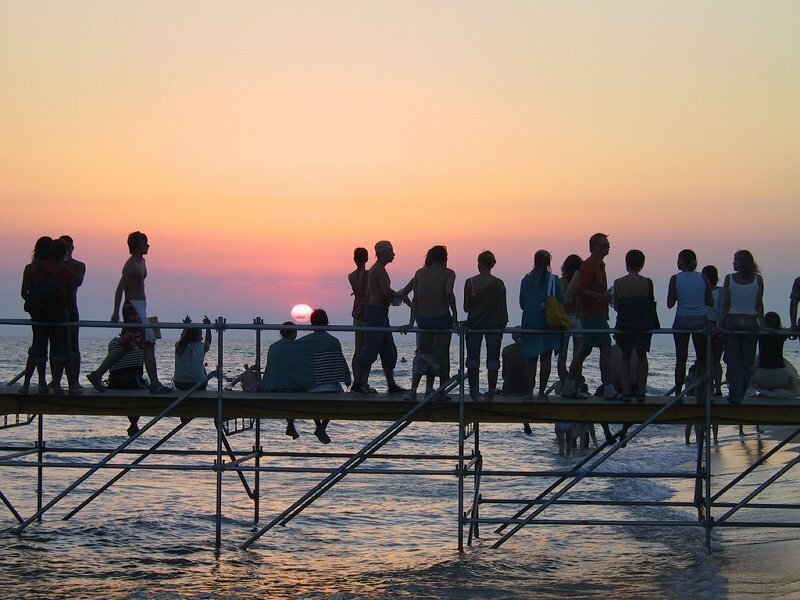 KaZantip is a place where the most breathtaking music parties run 24 hours a day. It's one month of non-stop music, discos, fun, love, freedom and relaxation in the sun at descent beaches of Crimea, right on the Black Sea. 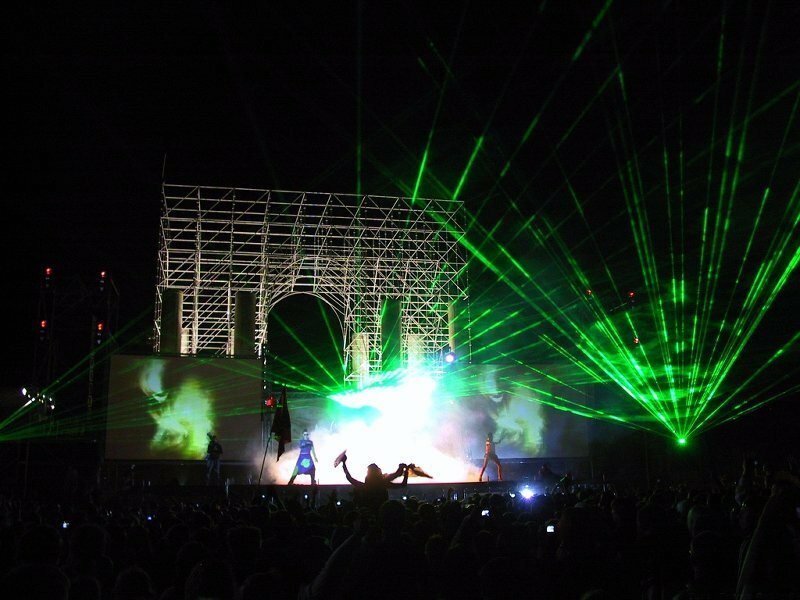 The KaZantip republic is one of the biggest, longest and craziest places to be at. 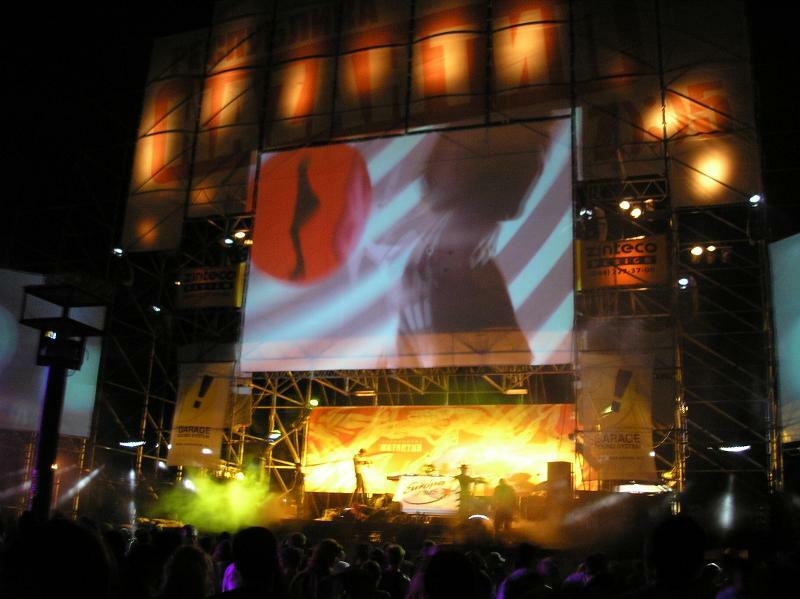 It's a place of the most amazing techno, trance and house music produced by hundreds of world- known DJ's coming from all over the world to become a part of this exciting event. 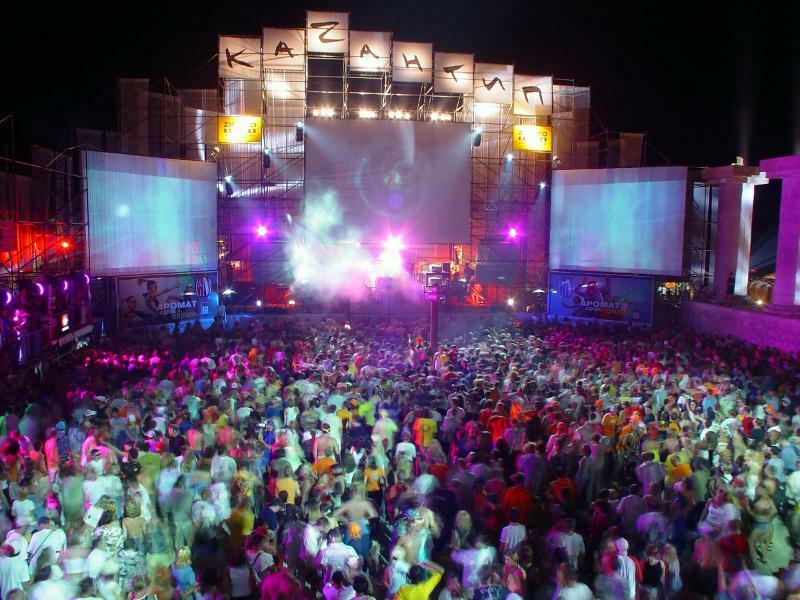 When is KaZantip's opening day in 2014? 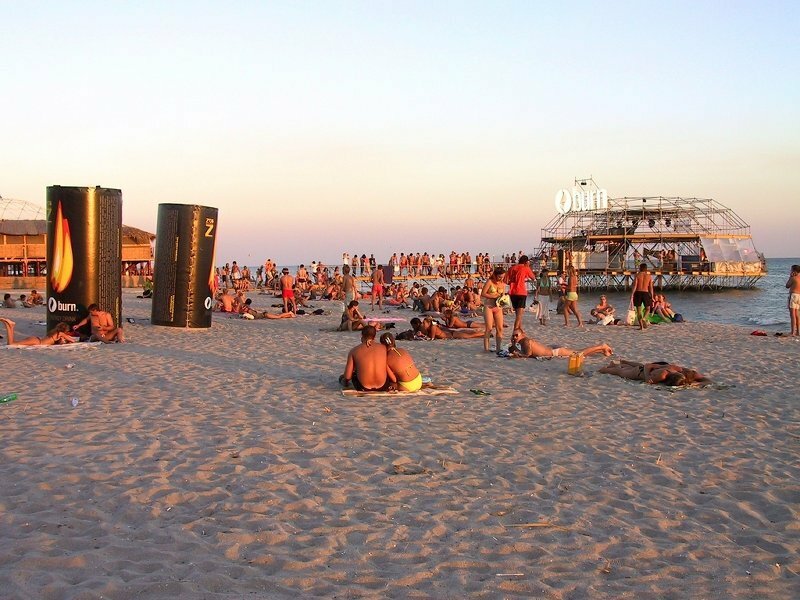 KaZantip is expected to kick off on 31st July 2014 and will be over by 14th August 2014. 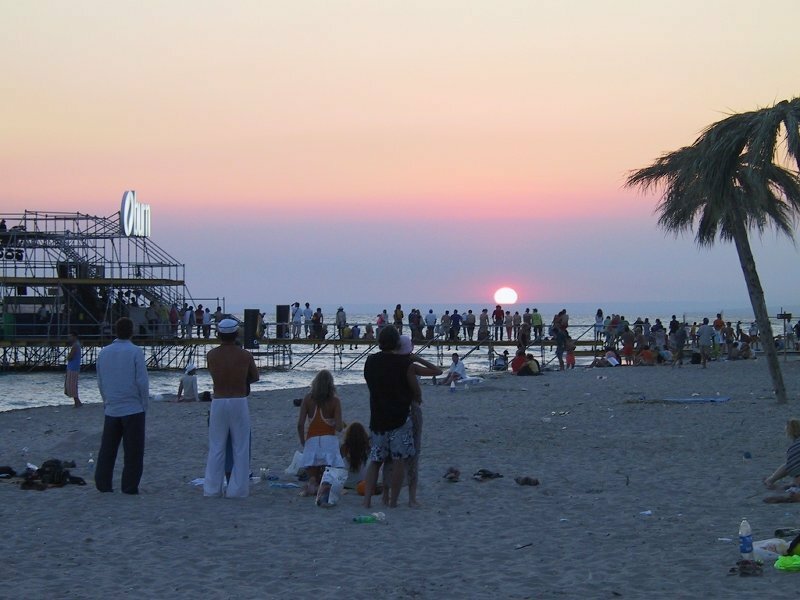 KaZantip takes place on the fine sandy beaches of the resort town of Popovka (in Ukrainian spelt as Popivka) in Crimea, Southern Ukraine. The closest big city to Popovka is Evpatoria located 30 kilometers (18 miles) away. 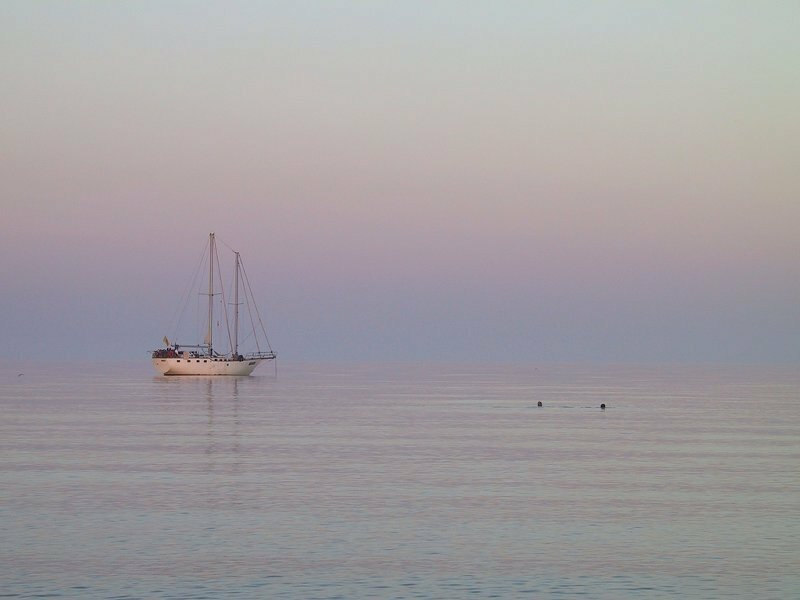 Popovka has one of the longest, widest, cleanest and most beautiful sandy beaches on the whole Crimean Coast. 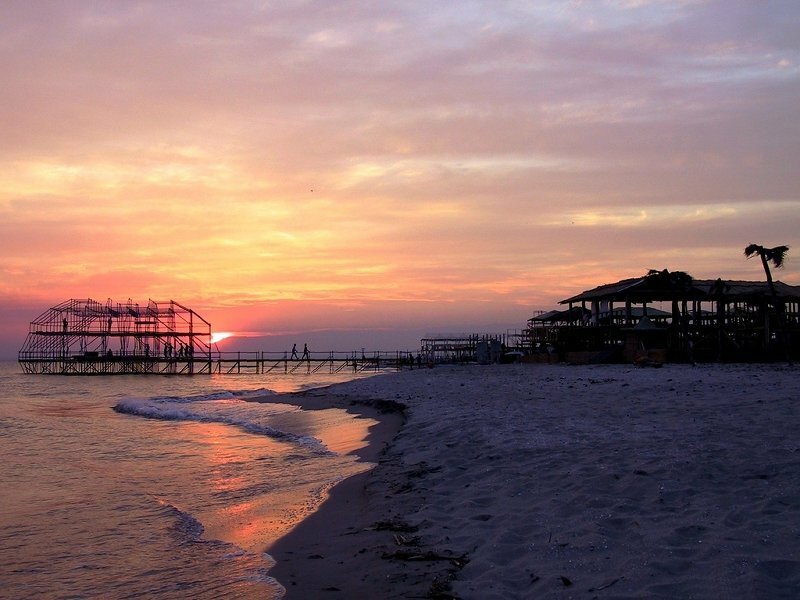 It is also known due to the most beautiful sunsets on the Black Sea. The sea water has a low salt content and is very mild here. There are different means of transportation that can get you here. If you are a lucky holder of a US passport or European Union passport, then you do not need a visa to enter Ukraine. All you need to do is to purchase your ticket to Simferopol, which is the capital city of Crimea. We recommend that you book round-trip tickets in advance. First, the sooner you book, the more you save. Also, please be advised that there are plenty of people who travel to Crimea during the summer season, and tickets may be a little scarce. The Simferopol International Airport is the only one in Crimea. In summer, there are direct connections with Frankfurt, Istanbul, Moscow but the majority fly to Simferopol via Kiev. The final part of the journey is a 100 km ride from the airport to Popovka. The most hassle-free and easy way is of course to take a taxi costing about $80.00 US. The trip by bus or by train takes extra 21/2 hours. The bus leaves from the Train & Bus Station (some 15 km away from the airport) and goes to Mirnyi, which is a small town nearby to Popovka, while the train requires changing in Evpatoria: you would need to take a bus or a taxi there. 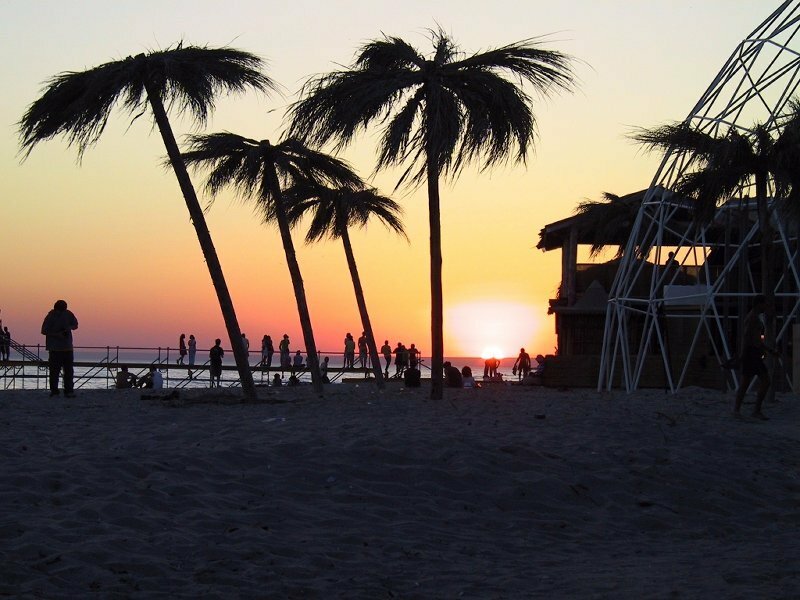 Another option is to hire a car and drive yourself to KaZantip and around Crimea that will enrich your travel experience. Traveling by car will make your life a little easier if you have a map of Crimea or GPS navigation unit. 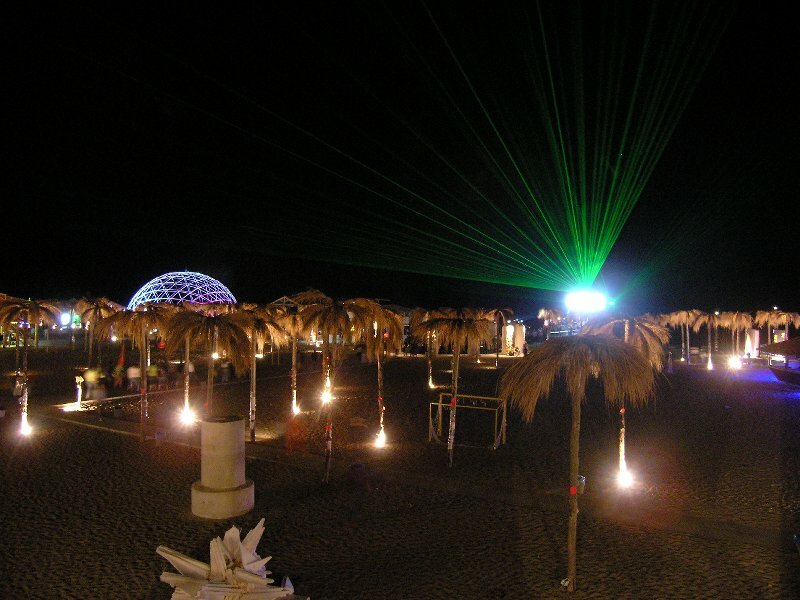 Special viZa for KaZantip - what is that? The Republic of KaZantip is not really a separate country, but visiting here requires "Special ViZa", which is a sort of entrance ticket. By buying this viZa, you automatically become an official resident of "the Republic". This viZa is issued at the ViZa Department. 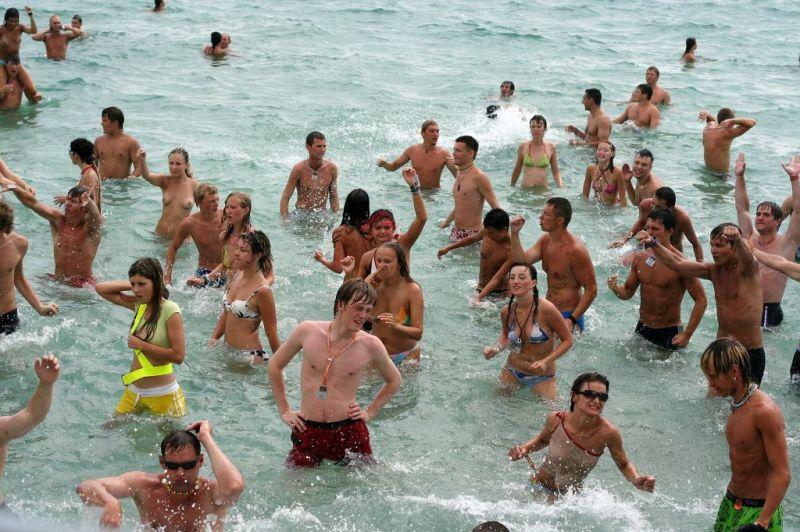 They will take a picture of you and put your information in database of the citizens of the Republic of KaZantip. You will receive the plastic card with your name and bar code on it. It is personal, which means that only you can buy a viZa for yourself and no one is allowed to use your viZa except you. There are two types of viZas. 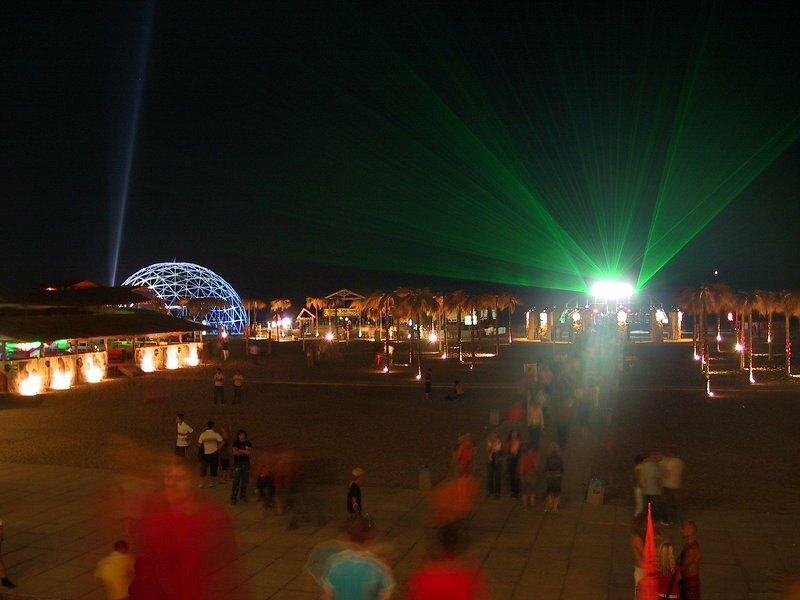 One-Time viZa gives you the right to enter the Republic of KaZantip once. With this One-Time viZa, you may cross the border of "the Republic", breathing the air of freedom. Actually you can stay inside for a long time with your One-Time ViZa, as long as you don't cross the border of KaZantip. Multi-pass ViZas are valid for the whole season and give you the right to enter and leave "The Republic" as often as you wish. The approximate price for One-Time viZa is $100 US. A Multi-pass ViZa costs appr. $200 US. 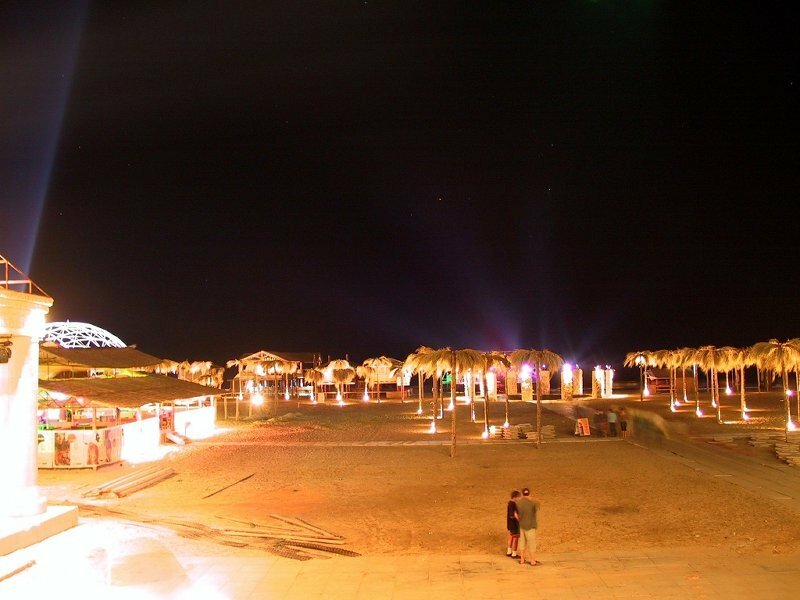 Obviously it makes sense to buy a Multi-pass ViZa if you stay at KaZantip for more than two days. If you intend to attend KaZantip on the opening day, we advise to come a day earlier, so that you can get your viZa on the day before and avoid the long lines. Once the terminal scans the bar code of your viZa, you are ready to rock and roll! You will meet friends you have not seen for the whole year. You can lie on the beach, meet a special girl, swim in the warm sea, enjoy drinking in the local bars, and even talk to the PreZident. 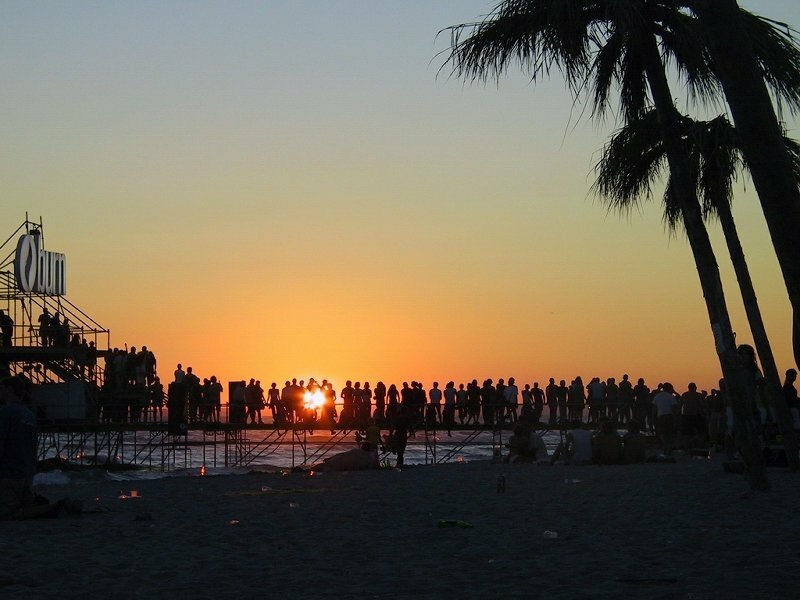 You will see the beautiful sunset, and hear well-known DJs... Only the beginning though! So much awaits you! Be careful, however, otherwise you might lose your money, passport, sun glasses, phone, underwear as well as your head and mind. New viZa application procedure was introduced by the viZa Department last year. Unlike the previous years, now you have to go though the online pre-registration process first. You are required to fill out the registration form online prior to purchasing a viZa from the viZa Department. Once your application is approved, you will be notified by e-mail. We strongly encourage you to read the instruction set out on the official web-site and take care of your viZa in due course. What are the available accommodations? In the local towns of Popovka and Minryi (the latter is 1 km away) there is a number of vacation rentals. 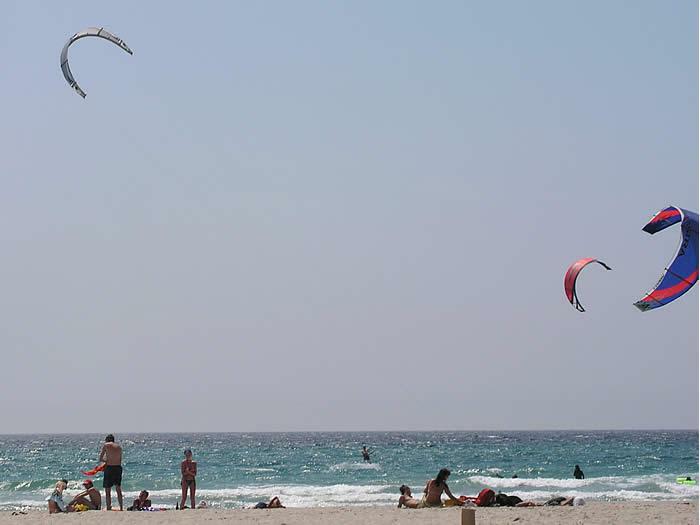 Private guesthouses, holiday homes and villas offer rooms, suites and apartments for rent. Prices depend on accommodation type and class, location, amenities etc. Budget options begin at $25-30/person per night. We advise you to book your stay as early as possible. There is always a lack of available accommodations during the peak season in August. Also, the sooner you book, the better deal you will get. 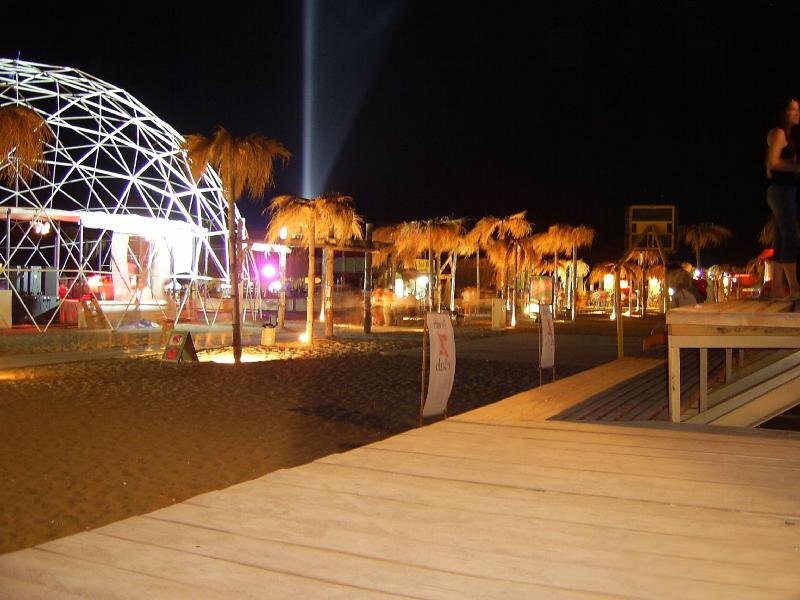 Take a look at a choice of accommodation options located in the immediate vicinity to KaZantip HERE. If you hesitate which option to choose, simply send us a message with your accommodation requirements and our experts will provide you with suggestions as to the most suitable choices. 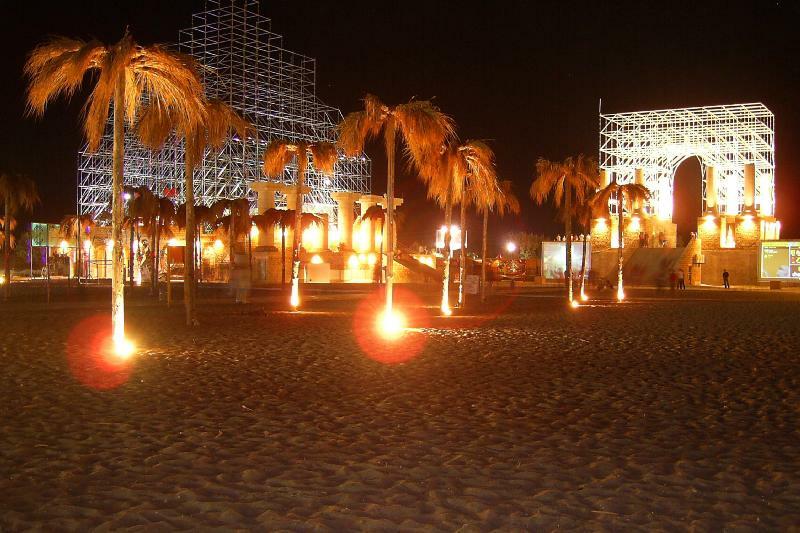 Let us help you plan your trip to KaZantip! And, last but not least: We are always pleased to give advice or provide any information you may require. No matter what questions you have, do not hesitate to contact us. After all, it costs nothing to ask questions, it only costs if you don't. As you know, we had a fantastic time in the Crimea. 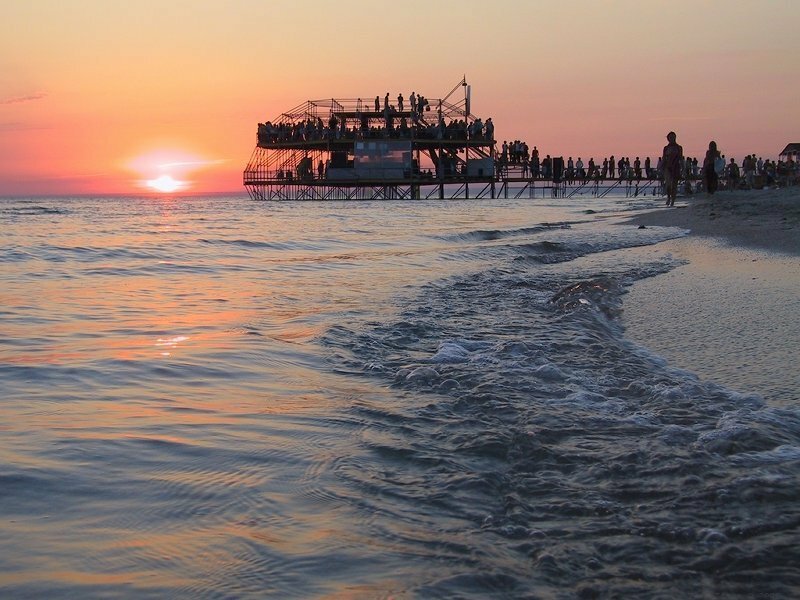 We certainly want to come back next year, both for the sightseeing in the region and Kazantip (which was much more fun than we expected - we had only planned to go for a day, but went almost every night). Thanks again for organizing our stay in August. We are looking forward to coming back next year! First of all a big, BIG thank you for your help and support in making my first KaZantip-Trip a wonderful experience! For sure I will join next year again and would be happy to have you there as well on my side! Please keep me informed as soon as the new dates for Z20 are available, because I am going to take all my friends there as well!!!! So looking forward to some great business with you again! It has been a week since we returned from the Ukraine, and I wanted to thank you for all your help and advice. It was a fantastic trip, and the guest house was great. It was not the easiest of places to find decent information about, so we were very appreciative of your help. 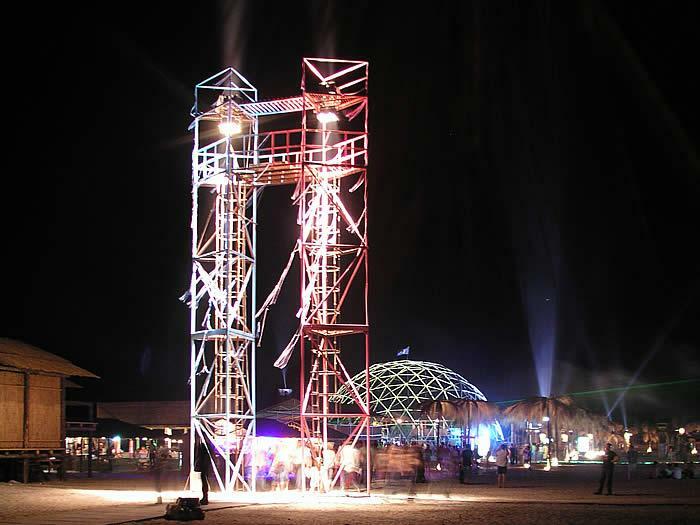 Kazantip was amazing, and we are already thinking about next year. I would just like to say thank you for everything you did for myself and my friends at Kazantip. We absolutely loved it there and we all had a great time that's for sure. You have an amazing festival and I would recommend it to anyone and also recommend people to deal with you. Our accommodation was great and the people there were great to get along with so if you could also pass my thanks onto them as well. Once again thank you for all your hard work I/we really appreciate everything you did for us. Hopefully one day I will get back to the Ukraine to enjoy it all again! Now I'm back in Germany ... took me a day or two to get accustomed again to the "real world", but now full of good memories of Kazantip. Want to thank you for your help and organization! Everything went really smooth, the accommodation was in really good shape, and all your tips and hints you answered to our questions helped us a lot. All in all, we had a great trip, and you helped us a lot with it - THANK YOU! All the best from Germany. We'll contact you again next year for Z20! You are a star! Thanks again so much for all your support. We had a great time also thanks to you and we will recommend you to our friends when they want to come to Kazantip (and I am sure when I show the photos they will want to come as well ;). Just a mail to thank you for the good care in the Crimea. We really had a good time over there, and if we come back for the festival next year (probably we will :) ), we will certainly contact you for an apartment to stay. I would like to thank you for your excellent service! Everything went fine during our trip. Thank you again. 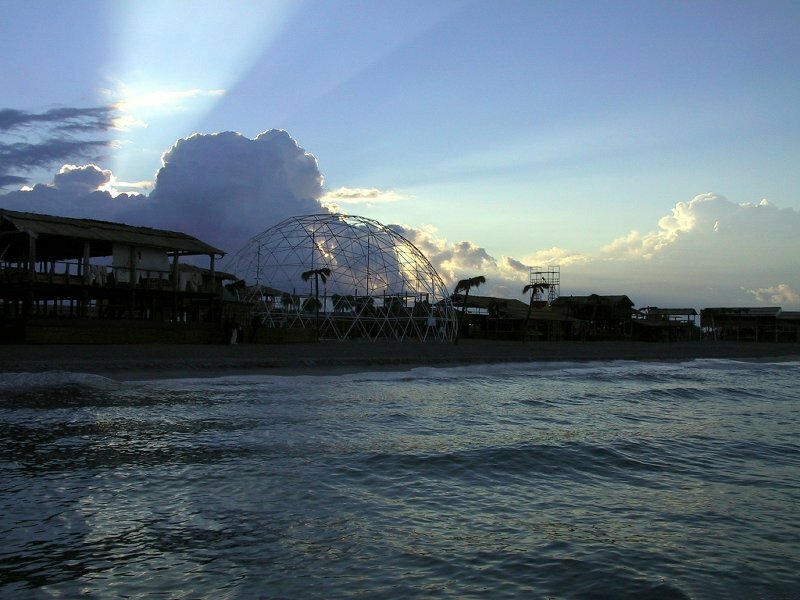 I spent great time in Kazantip, hotel was great! Thanks!!! I am back in Germany and I would like to say thank you. Thank you for your assistance during my stay in the Ukraine! 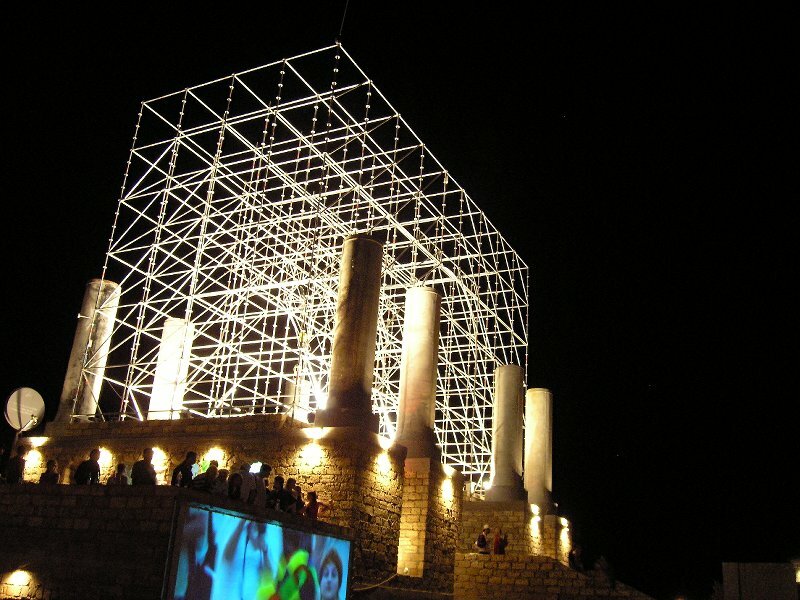 Do you know when the Festival will take place again?